The year is 1936. After his dismissal from the British Air Force, Fenton Paddock struggles along as a smuggler and petty crook – until he receives the lucrative offer to trace an expedition that went missing in the highlands of Tibet. But Fenton and his ex-girlfriend Kim are not the only ones eager to find the missing researchers. The Nazis have sent a secret task force to Tibet as well and assigned them to get hold of the lost explorers, whose revolutionary findings bear the power to change the fate of the world forever. 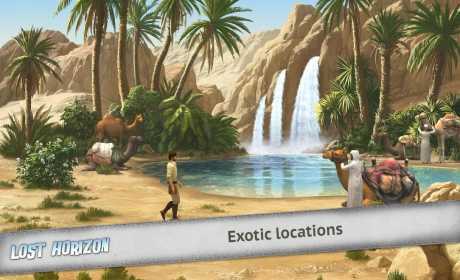 Designed and developed by the renowned adventure specialists of Animation Arts – the studio behind the best-selling Secret Files series – Lost Horizon takes its players back to the glory days of the point ‘n click adventures. 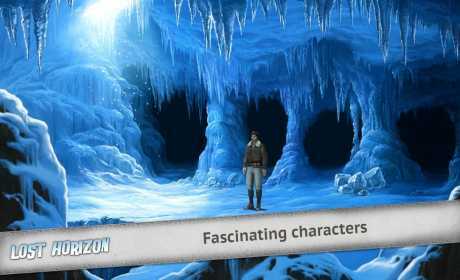 Enjoy clever riddles, beautiful graphics and full voice acting. Visit exotic locations all across the globe and follow a riveting narrative that keeps you hooked for hours and hours on end! 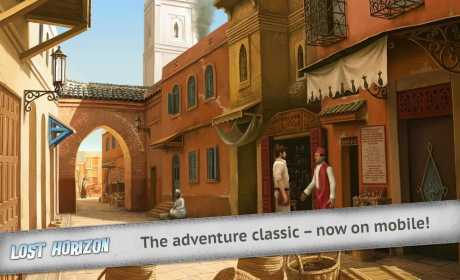 Lost Horizon requires at least 1 gigabyte RAM and Android 4.2.2 or newer. It runs on a majority of contemporary devices such as Samsung Galaxy S4, Samsung Galaxy S5, Samsung Galaxy Note 3, HTC One, HTC Nexus 9, One plus One or comparable smartphones and tablets. There are no IAPs or additional costs – the initial purchase unlocks all chapters right away!